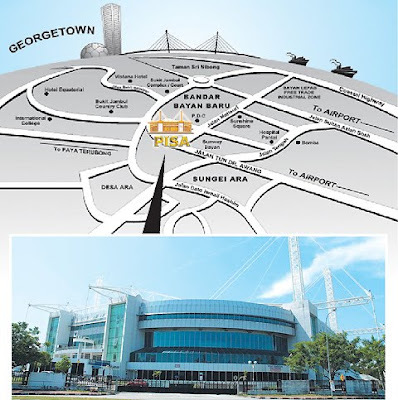 Property developer SP Setia Bhd has emerged as the leading contender to build the Penang International Convention Centre (PICC) on the grounds of the Penang International Sports Arena (Pisa). According to sources, SP Setia is likely to get a 30-year concession to build and operate the convention centre, which will include other components like a hotel and retail outlets. "The proposed project is likely to cost over RM200 million," one source told Business Times yesterday. Another source said SP Setia is one of four companies which had responded to a request for proposal from the Penang state government. The Penang Island Municipal Council had closed the tender in September last year. The other companies said to be in the running are Singapore-based exhibition contractor Pico Global Services Ltd, which has operations in Malaysia, and a host of local contractors. Pisa (picture) is an indoor sports arena located close to Penang international airport. The project was completed in 2000 and serves as the largest and most comprehensive multi-purpose indoor venue on Penang Island. The arena, which is owned by the Penang Island Municipal Council and managed by Penevents Sdn Bhd, boasts an Olympic-sized swimming pool and a spacious air-conditioned area, which has been designed to host conventions, exhibitions and entertainment shows, along with major sporting events. A source said that if SP Setia succeeds, it plans to build a public rooftop park in the convention centre building. The proposed PICC, which was initially tagged at RM50 million, has been mired in controversy ever since Penang Chief Minister Lim Guan Eng proposed it. SP Setia's entry into Penang dates back five years to its maiden development "Setia Pearl Island" in Sungai Ara near the Penang international airport. The project, which is sited on a 45.2ha of land, serves as the company's flagship project in Penang. Since then, SP Setia has made its mark in several other property projects dotting the island and these include high-end landed properties in the upscale Jesselton neighbourhood and an upcoming exclusive condominium project facing Penang's famed promenade, Gurney Drive. The company is said to be aggressively in expansion mode to increase its landbank in Penang. KUALA LUMPUR: Mah Sing Group Bhd has set an ambitious sales target of RM2bil to RM2.5bil for the current financial year ending Dec 31 (FY11), which will be a 70% increase over the RM1.5bil recorded in FY10. The company will be lining up RM2.5bil to RM3bil worth of new projects for launch this year. Group managing director and chief executive Tan Sri Leong Hoy Kum said Mah Sing had grown into one of the most diversified property players with a full range of projects in the residential, commercial and industrial sectors. It will continue to build a stronger presence in the mid to high-end property market. Coming off an aggressive acquisition spree last year, the company has 33 projects in various parts of the country now. In 2010, Mah Sing made 10 land transactions involving 295 acres at a total cost of RM756mil. Leong said 2011 would be another “acquisition year” for the group. “We target to buy prime land in the Klang Valley, Penang and Johor with the potential to generate projects to the tune of RM7bil to RM12bil in gross development value,” Leong told StarBiz. He said although the company's landbank was enough to sustain it for the next seven years, it still saw the need to stock up on good land, preferably a sizable piece of between 500 and 2,000 acres. Leong said Mah Sing had the balance sheet to fund the acquisition. As at Sept 30, 2010, the company had a cash pile of RM232mil. It is also close to finalising the RM325mil nominal value seven-year redeemable convertible secured bonds and will be able to draw down the cash proceeds these two months. Besides making outright purchases, Leong said Mah Sing was also open to joint ventures with land owners. “Of the projects planned for launch this year, some 35% will comprise landed residential properties, 40% will be high-rise residences and 25% industrial. They will be well located projects with cutting edge yet practical designs,” Leong added. Its landed housing projects in the Klang Valley, comprising bungalows, superlink and semi-detached units, will include Garden Residence in Cyberjaya, Kinrara Residence in Puchong, One Legenda and Hijauan Residence in Cheras. In Penang, the new launch will be Legenda@Southbay. Its range of high-rise residential projects include M-City@Jalan Ampang, Icon Residence@Mont' Kiara, Icon Residence and Ferringhi Residence@Penang Island, and Austin Suites@Johor Bahru. Commercial projects targeted for launch in the first half this year include Star Avenue@D'sara and Icon City@Petaling Jaya. These comprise three-storey shop offices in Star Avenue@D'Sara, while Icon City@Petaling Jaya will comprise seven- to eight-storey shop offices, retail lots and home offices as well as residential blocks. Meanwhile, the third industrial project under the iParc series, iParc3@Bukit Jelutong, will also be launched by mid-year. Leong said Mah Sing was also evaluating opportunities in high-growth countries like China, India, Vietnam, Singapore, Australia and Indonesia. Its maiden overseas project will be located in Changzhou City in China. The 87-acre mixed residential and commercial project will be launched in the second half. For the first nine months of 2010, Mah Sing recorded RM87mil profit after tax and minority interest, a 25% improvement compared with RM69mil for the same period in 2009. It also has unbilled sales of RM1.2bil during the period. PETALING JAYA: Property analysts expect the proposal to take over Asia Pacific Land Bhd (AP Land) by its substantial shareholders, via a special purpose vehicle Low Chuan Holdings Sdn Bhd (LCH), will likely go through without any major issues. “This is because the company is tightly held by its substantial shareholders, the owners of LCH, and there is no other substantial investor that holds more than 5% of the stake. “Although the offer price of 45 sen reflects a 9.8% premium over AP Land's last traded price of 41 sen before the announcement on Monday, non- interested directors of AP Land would still have to consider the company's assets and outlook as well,” an analyst told StarBiz yesterday. He said the lukewarm interest by investors in AP Land stock could be due to the financial performance of the company. “But it has some interesting overseas asset compared to its local counterpart,” the analyst said. AP Land, a property development and plantation company, is not covered by any research houses. To recap, LCH, an investment vehicle of the Low Yat group that was set up to undertake this proposal, collectively holds a 33.98% stake in AP Land. LCH, on Tuesday launched a takeover offer to acquire the entire business of AP Land for 45 sen per share or RM305.2mil. About RM201.5mil of the total will be satisfied via cash and the remaining would be an amount owed to AP Land. This could reflect that the company will be taken private post acquisition. AP Land's financial performance for the past five years has been weak. For the first nine months of 2010 ended Sept 30, it reported a net loss of RM3.8mil compared to a net profit of RM1.5mil in the same period the previous year. It had also suffered net losses in the financial years 2005, 2006, 2007 and 2009. But, it was reported that AP Land has a net tangible assets of about RM700mil. Among the group's current property development projects locally are high-end development in the heart of Kuala Lumpur known as myHabitat, Bandar Tasik Puteri a township development project in Rawang and Penang Island Bay Resort a self- contained township located within the Batu Ferringhi. Internationally, the group launched a commercial development project in China's Changshu City, marking its first foray into the country. AP Land is also undertaking a residential development project in the Niseko region of Hokkaido, Japan. KUALA LUMPUR: MALAYAN BANKING BHD expects a take-up of RM60 million within the next six months for the ringgit mortgage facility offered to Malaysians who want to purchase property in London. The bank’s “Overseas Mortgage Loan Scheme”, launched on Thursday, Jan 13, will finance completed or residential and commercial properties under construction in London Zone 1 to Zone 3 in prime locations such as City of London, Westminster, Knightsbridge, Kensington and Chelsea. “Key features of Overseas Mortgage Loan Scheme include repayment in ringgit, high margin of financing up to 85%, flexible repayment and long tenure of up to 30 years or 70 years of age whichever is earlier,” it said. Maybank’s deputy president and head of community financial services, Lim Hong Tat said Malaysians would be able to borrow in ringgit for purchase of property in London with the loan taken in Malaysia. “Borrowing in ringgit will protect customers from currency fluctuations on their monthly loan repayments and savings as the sterling pound is anticipated to rise this year from its current low exchange rate with the ringgit,” he said. At present, Malaysians purchasing properties in London have to obtain financing from UK based banks and pay the monthly installments in sterling pound and they are exposed to foreign currency exchange fluctuations. 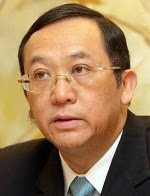 Lim said financing from UK based banks for Malaysian citizens currently was only available for “buy-to-let purposes”, namely, the property must be purchased for investment purposed and not for own occupation. As for Maybank’s ringgit-based mortgage facility, he said it would be offered in the form of term loan, overdraft or a combination of term loan and overdraft. “We anticipate a take up of RM60 million for this new facility within the next six months. This is in view of attractive property valuation in London and overseas buying interest to peak before April 2011 when the new 5% sales tax is imposed for properties above £1 million. “The current strong ringgit against the sterling pound is also another factor that will encourage Malaysians to buy before the anticipated rise at the second half of the year,” Lim said. Lim said the new mortgage was designed for high net worth customers who were showing increasing interest in buying properties in that part of Europe, due to the favourable currency exchange rate, attractive property price as well as for those who have children studying in the London area. “London currently offers attractive advantages for property purchase to non residents and the Bank has tied-up with reputable international real estate agencies to assist customers on UK regulations,” Lim said.